Pimlico plumbers is creating more jobs within the heating industry as it expects demand to rise with the onset of winter. 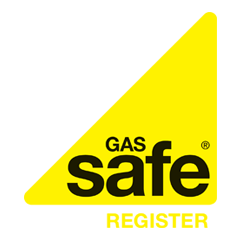 Up to 50 new engineering positions will be available for Gas-Safe registered engineers, complementing the firms existing 200 employees. Since September the company has already seen an increase in enquiries and bookings for boiler maintenance work in addition to its busy emergency call-out service. Twenty of the new engineers have already been recruited leaving 30 more to find. Earlier this year the company enjoyed continued growth and a reported turnover of £17 million for its 2011/12 financial year. It also managed to achieve a 1.5% increase in sales between June and August 2012 despite this being one of the toughest periods for the company due to disruption from the Jubilee celebrations and the Olympics. The firm serves the heart of London as well as many districts in greater London. It currently runs over 150 vans, trucks and motorbikes with a workforce of over 150 plumbers, heating engineers, carpenters, builders and locksmiths. The company operates from a huge contact-centre in central London which is operational 24 hours a day, seven days a week.